I have had some requests to share ideas for teaching about quick breads…so, here you go! One thing about teaching quick breads is that there are a plethora of ideas for labs so you can mix it up from one year to the next and secondly, the labs are pretty inexpensive to make so they won’t break your budget! Another thing I like about teaching quick breads is that it’s easy to include math and science concepts into your lessons and labs. Take a look below to see some things I’ve used over the years as well as some links to previous lessons and activities on the website about the topic. I like to begin with the Basic Baking Ingredients: What’s My Function? lesson and lab as it helps students understand the purpose of the ingredients used in quick breads and the reason behind the mixing methods. Students take notes about Quick Breads via the PPT found below. Now it’s time for the labs…there are many options for this and you can reference many right here on this website (see links below). Over the years I have used the linked recipes, but I like to mix things up from one year to the next so I now have students creating their own quick bread using the mix and match options at the Food Network website for their drop batter lab. Students can do a lot with this recipe! Have students save the recipe to their document files. First thing they need to do is name it, encourage creativity! Then have them create a Nutrition Facts Label to go with it via this website. Students should print and save the nutrition analysis and label for their recipe in their document files. Finally, students are to practice increasing and decreasing the ingredients of this recipe by doubling and halving the amounts. You could even have students calculate the cost per serving for their recipe and determine how much they’d sell it for at a bake sale or food truck and what their profit margin would be. Students prepare and after clean-up, while the quick bread is baking, students create a document of their new product which includes the name, recipe and nutrition facts label. This will be placed with the breads to be used during the taste test. 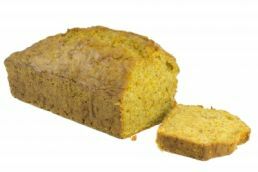 Students will slice their quick bread and cut into smaller pieces for the class to sample. Students will rotate through each kitchen sampling the bread and determining which it the most nutritious. Students will also rate for taste, texture, appearance and then rank according to preferences. This is a food judging resource with criteria below that can be used to used to rate products. Students choose to make crepes as their pour batter lab. So, we take a couple of days to learn about Crepes. See this Crepes Lesson for details. This lesson also introduces world culture into the unit. Next we move on to the Dough Quick Breads focusing on biscuits. As a review activity, I write the method steps on index cards and randomly pass them out to 6 students. They must put themselves into the correct order and the audience must determine if they are correct. If they are not, the group must rearrange themselves until the audience believes it to be the correct order. I am the final judge! When I did my dough biscuit lab this past year, I tried something new. I asked my students to pretend they were on their own and had to refer to the internet to learn how to prepare biscuits. I gave them this snap guide link and had them watch and prepare. I just observed. Some students did really well and others were apprehensive. In the end all biscuits were edible, but not all met the perfect biscuit criteria. This led to good discussion on what went wrong…this is where my observations came in handy! Note: If time permits, it’s fun to let students make blender butter for their biscuits. Students can make plain butter or they can experiment with various herbs. Check out this website to see how easy it is. Herb Butter recipe can be found here. This is the best recepie. Very easy and perfect. Amounts can be changed to make according to th need. Love it !